At times, people can be a bit too literal. They either act that way as a mistake, or they do so to make some sort of vague point in order to irritate other people. Sometimes you literally get what you ask for, even if you were not really asking for it. 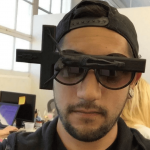 Here are fifteen examples of people or things that got exactly what they were asking for—or just people who are far too literal. This is pretty funny, but also a bit confusing. Who asks for a joke from the people who make, package, and deliver their pizza? 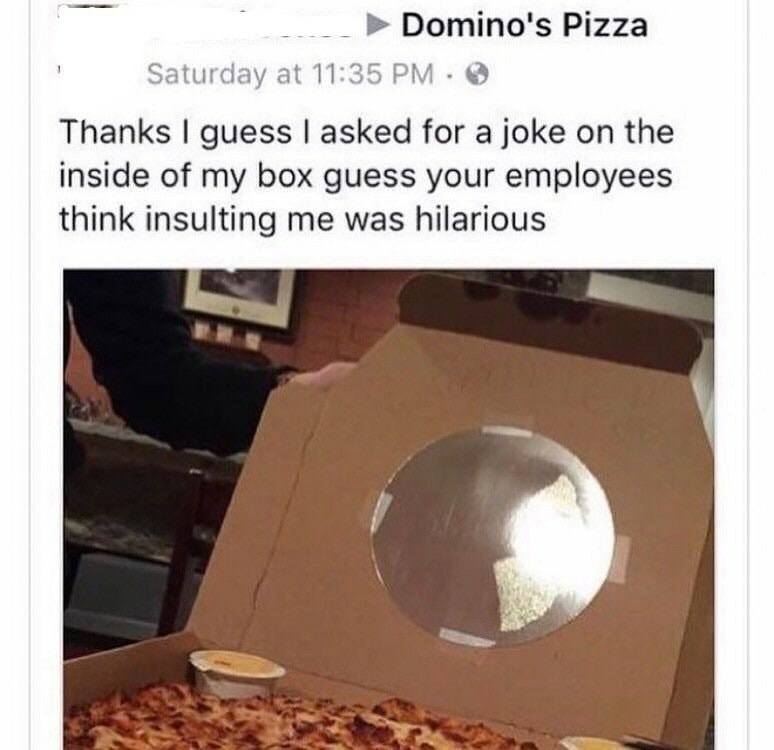 Did the person who received the pizza actually feel insulted? Have a sense of humor about yourself. That pizza looks quite good, though, and Domino’s is a pretty successful brand. It was founded way back in 1960 and is still going strong. As of February of this year, it is the largest pizza seller in the world as well as in the United States. Its products are available in 85 countries, including the United States, Canada, France, Spain, the United Kingdom, Japan, India, China, Italy, and Russia. This is a curious exchange. One person has apparently thought quite a bit about what it would be like to have been romantically involved with a famous person. Really, it would be sort of terrible to have been romantically involved with one of the more famous people on the planet prior to their actually becoming famous. Could you imagine having dated someone in one of the “Avenger” movies, for example? That would be so strange. Actually, I think it would be weird to be dating someone currently famous. Can you imagine having to watch their romantic scenes on a movie theater screen? Talk about awkward. One person in the exchange was sort of mean, and emoticons were turned around. The whole thing, while amusing, is also a bit weird. I do not think there was any need for foul language. 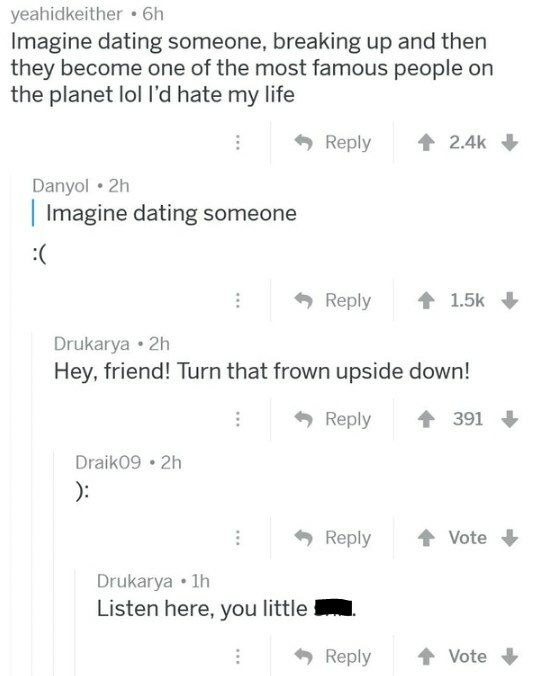 Toasters have feelings too, and they obviously do not like to be alone. As far as appliances go, they are pretty needy. 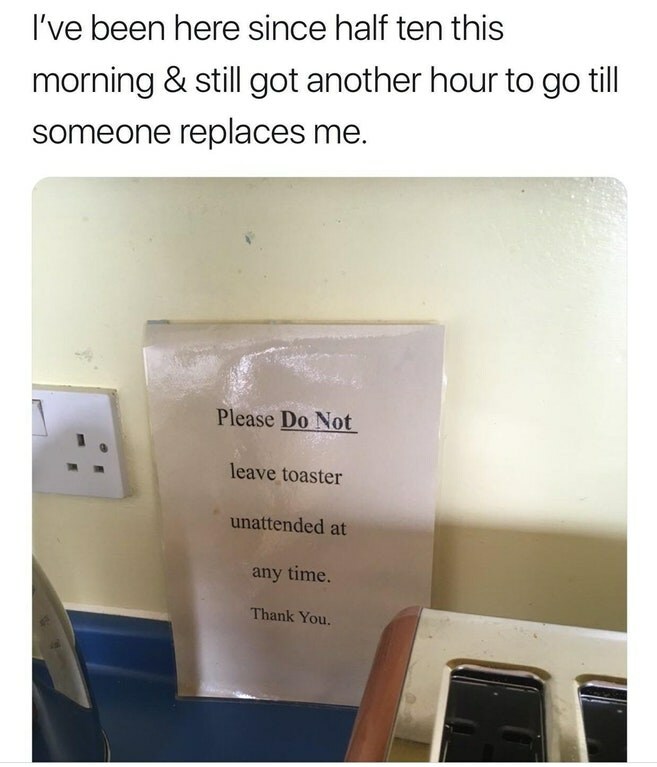 This particular toaster is so needy that a sign was necessary—it needed to be made clear that the toaster was not to be left unattended. The person who made the sign got exactly what he or she wanted. Someone kept the toaster company. Let’s hope that replacement arrived on time. Toasters may be needy appliances, but they are not the best conversationalists, and keeping them company can quickly grow boring. Toasters may not be able to carry on a conversation, but they are interesting in the sense that they are one of the most common kitchen appliances in the world. They were invented in the late 19th century in Scotland. The typical price of a toaster these days—at least in the United States—is about $15. In certain cities and countries, you pretty much have to sell food if you are going to sell alcohol. The laws are difficult to understand in places, and they are also totally pointless, but they are what they are. You have to follow the rules if you want to run a business. The fines can be huge, and it just is not worth fighting the law. 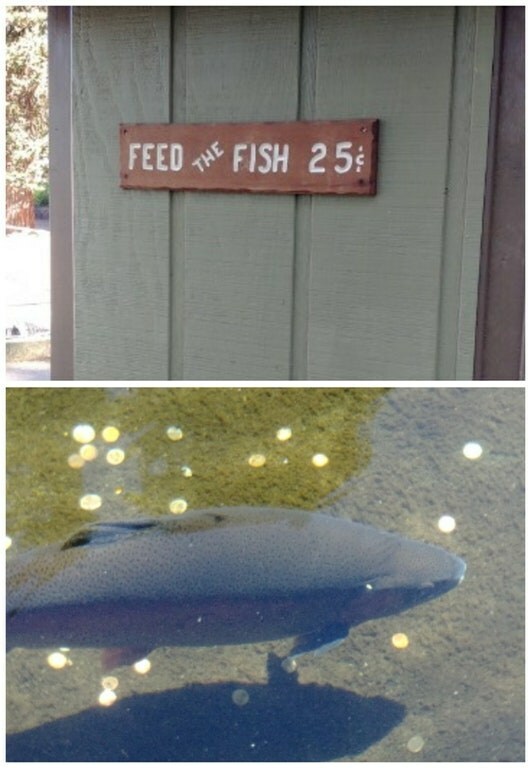 It is better to just offer food. No one said, however, it has to be good food. 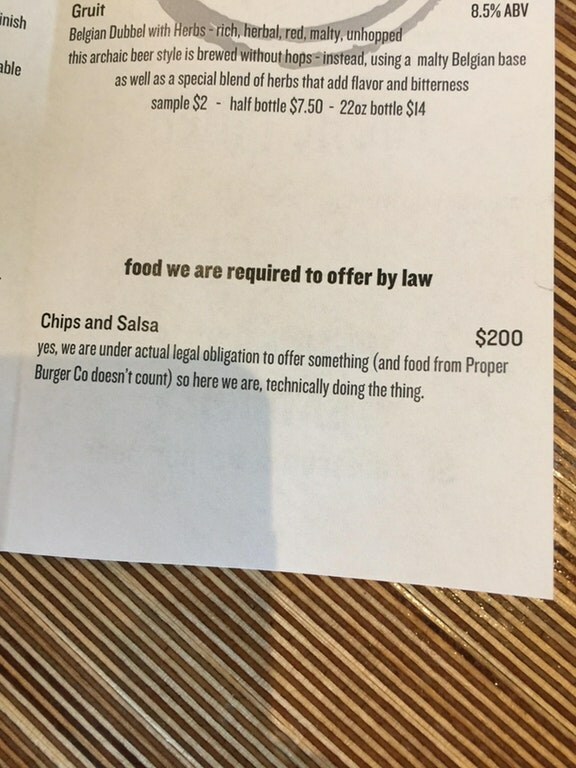 In the menu depicted in the image, the owner is technically giving the government exactly what it is asking for. While it would be hilarious if someone ordered $200 worth of chips and salsa, I somehow doubt that ever actually occurred. If anyone did order the chips and salsa, probably because of extreme drunkenness, I hope they were the best chips and salsa of their lives. If the owners of the restaurant need to expand their menu, I have suggestions. How about a $300 can of soup? A frozen pizza should clearly cost $500. This sign obviously was not pointing out the sort of “pick-up line” one would use to seduce another person, but the little note someone attached is indeed hilarious. 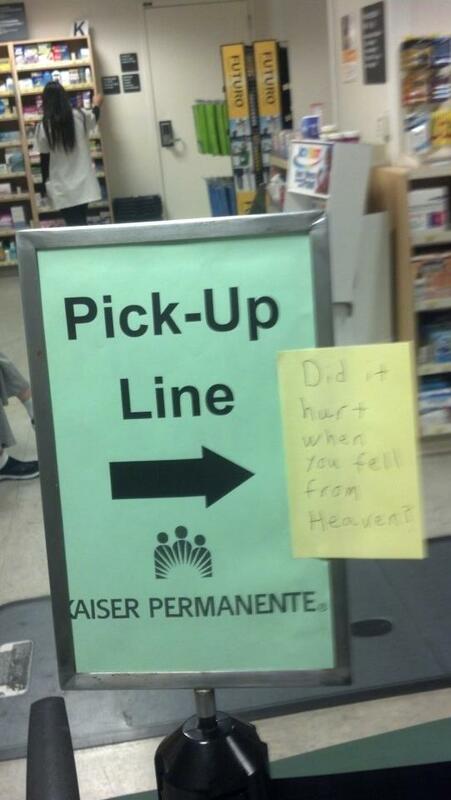 There are a ton of great pick-up lines out there, and the one written on the note is a classic. There are better ones out there, though. Personally, I like the line that involves asking the other person if he or she is religious. Because obviously that person is the answer to all of your prayers. You can also claim to have lost your phone number. You can then ask for the other person’s number—you know, as a replacement. Even better: ask the person if his/her name is Google. Obviously, he or she is everything that you have been searching for. Also, in a pinch, you can ask the person to whom you are attracted how heaven was when he/she left it. Finally, you can ask someone you just met if you know them, adding that they look a lot like your next boyfriend/girlfriend. A dollar for a peanut—even with the shell—seems like a bit much. However, it comes with a bottle of water, which makes it a tremendous deal! 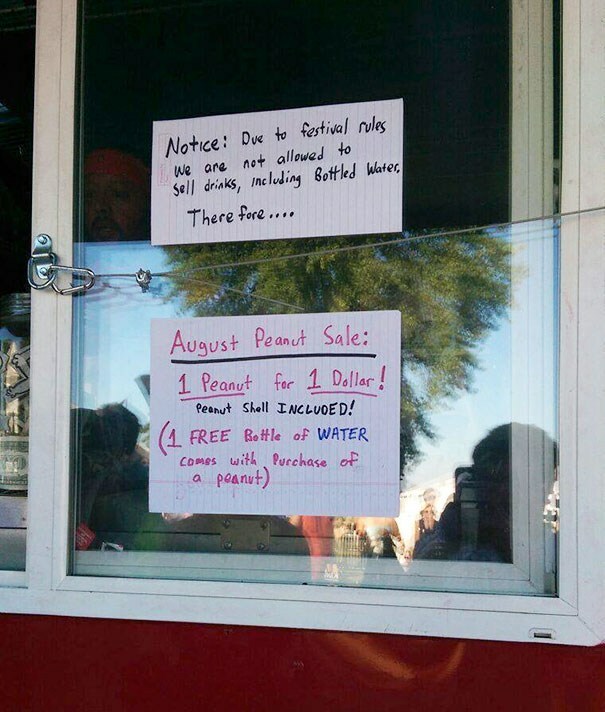 What sort of festival bans the sale of water in August? If we were talking about banning alcoholic beverages, that might be understandable—but water? The last time I checked, people actually need water to survive. Dehydration can and does cause death. Even mild dehydration has negative effects—it is known to impair cognitive performance. In addition, dehydration can cause fatigue as well as dizziness. Intentional dehydration can actually be used as a suicide method. It sounds like an unpleasant way to die. Respiratory arrest is not a fun experience. Death occurs when between 15 and 25 percent of the body’s water is lost. I really have no idea what this one is about. 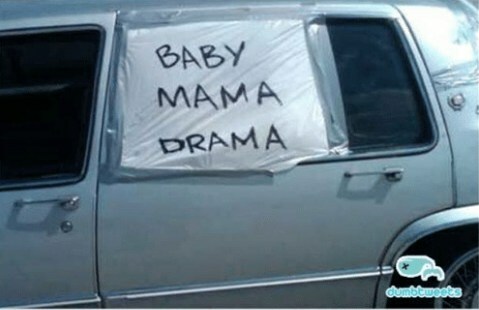 Apparently, there was “baby mama drama”, which is always unfortunate, and the end result was a broken car window. All we can do is hope that the aforementioned “baby mama drama” has ended—for the well-being of the kid, of course. When you order a product, you generally know how large it is. You typically know if it just won’t fit under the doormat. Therefore, the request made by the customer in this case is entirely ridiculous. It probably should have been ignored. You do have to wonder exactly what the product in that box is, though, don’t you? What is it about the product in the box that makes it so valuable that the customer wanted it put under a doormat? Was it expensive or particularly rare? The guy or gal who delivered the box is hilarious, though. 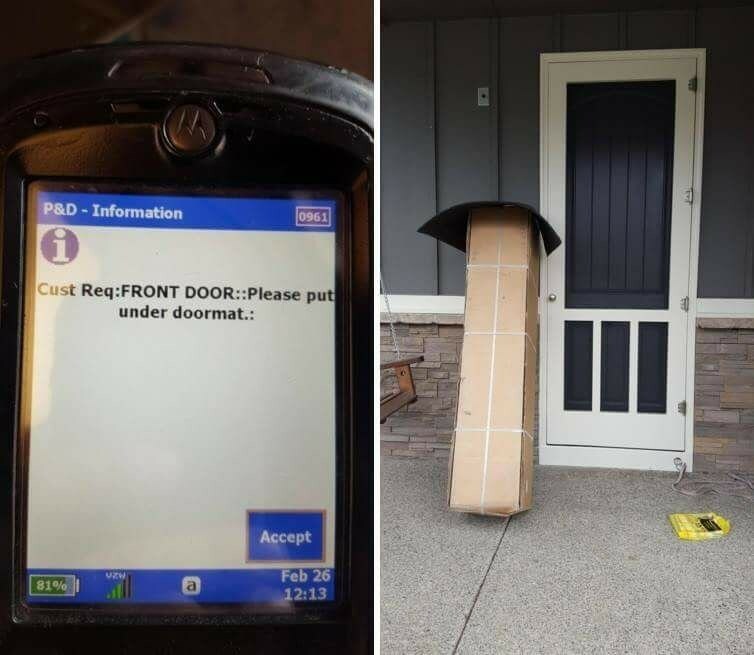 Technically, the person who made the delivery fulfilled the customer’s request and should therefore be commended for the excellent customer service he or she provided. 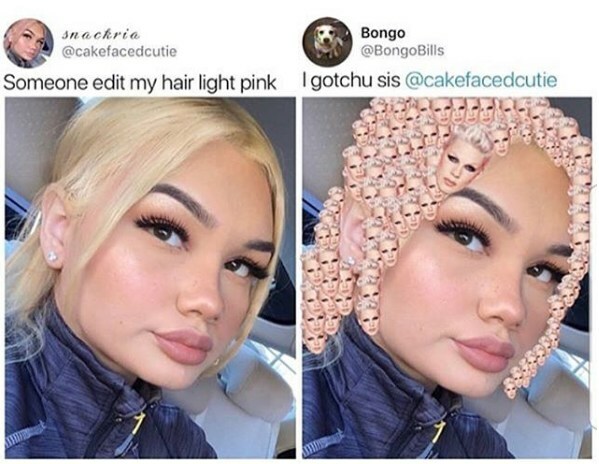 The girl who requested the light pink hair probably had something very different in mind, but the end result of the editing is not really that bad of a look. 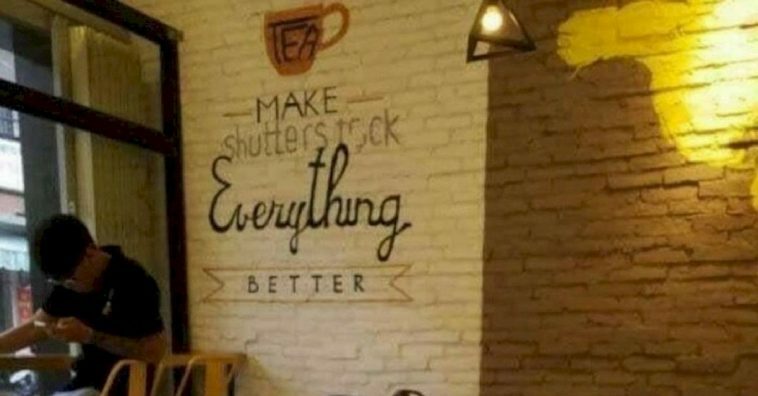 It is definitely creative. I’m not sure why she wanted light pink hair in the first place—pink not being a natural hair color—but it typically looks okay. She probably had a good laugh over it all if she has a good sense of humor. When you share a bathroom with a person, it is perfectly acceptable to expect that person to clean it once in a while. In this case, however, expectations were a bit high. Why would a bathroom need to be cleaned so well? What sort of event was it being cleaned for? It is totally possible that the person who wrote the note was just being a bit nasty, I suppose. The person who was on the receiving end of the note was truly hilarious. The tea is a nice tough, as is the handwritten note. The cursive at the bottom is totally classy. 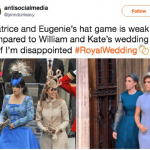 Does the Queen of England read “Harry Potter” while doing her royal business? I get that the placement of the book is nothing but a joke, but wouldn’t it be weird if she actually did? Could you imagine? She has to read something, I guess. Even monarchs need to go number two, after all, and they have since the dawn of the monarchy. There was, once upon a time, a position known as the Groom of the Stool. That courtier would assist the English monarch while he was excreting his waste. The person who held that position was respected and feared in royal courts. After all, the monarchs tended to confide in the person who helped them do their business. 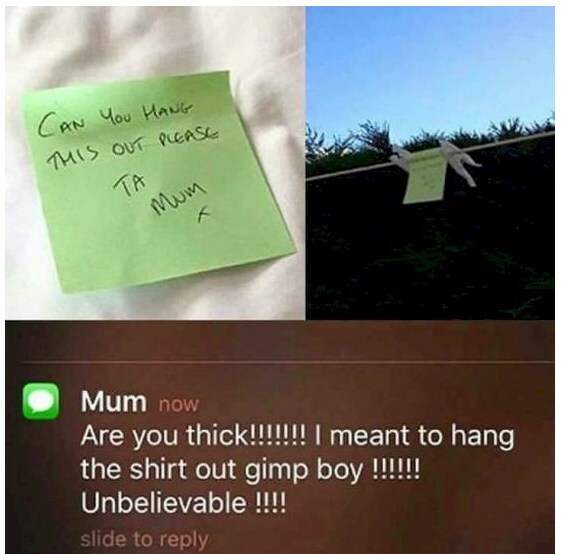 A mother wanted her son to hang up a shirt, but she was not terribly specific. Her child was obviously having a laugh at her expensive, and he also made us laugh as well. What does “gimp boy” mean in this context? Even after several minutes of research, I’m not entirely clear. In certain parts of the world, a “gimp” is someone who has a physical handicap. It is not a particularly acceptable term, either. Is the mother calling her son handicapped? If he does indeed have a physical disability, should she really be asking him to hang up a shirt? Even if he is capable of hanging up a shirt, should she really be insulting him? I hope the mother isn’t really upset; she should just be glad she raised such a clever and witty child. 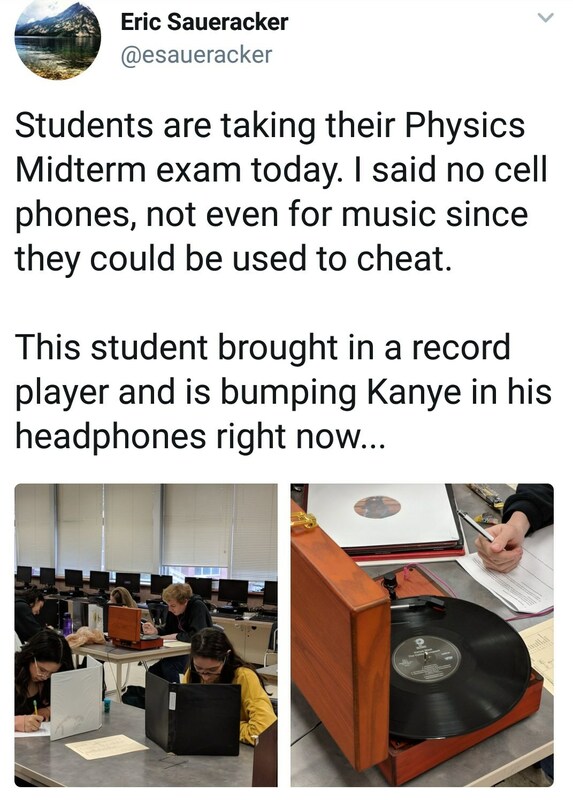 A teacher did not want his students listening to music while taking a physics test—the mobile phones could be used to cheat, after all, and that is a problem. One brilliant student, however, had access to a record player, and that student took advantage of that fact. Even if you are a teacher, it is kind of hard to argue with a person who is clearly far cleverer than you will ever be. Here’s hoping the kid did very well on his exam. 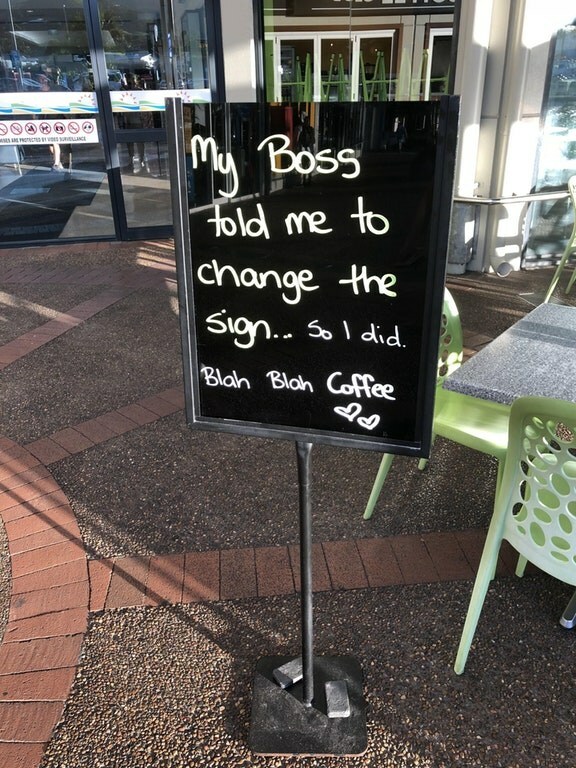 If you have ever been a boss, you know that you sometimes need to get a bit specific when giving your employees orders. If you’re not specific, you might experience something like what is depicted in the image above. Hopefully the boss in this case actually has a great sense of humor, or a certain employee could have gotten in quite a bit of trouble. The little hearts at the bottom are a cute touch, and customers were probably very amused by the whole thing. What is surprising here is not that one jokester intentionally took the sign literally; what is surprising, really, is that so many jokesters did and that no one had scooped up the coins. There is a few bucks worth of change there—more than enough for a couple decent cups of coffee. That is actually a sort of scary-looking fish; it vaguely resembles a miniature shark. She did not get what she was asking for, really, but she is a very literal little four-year-old. 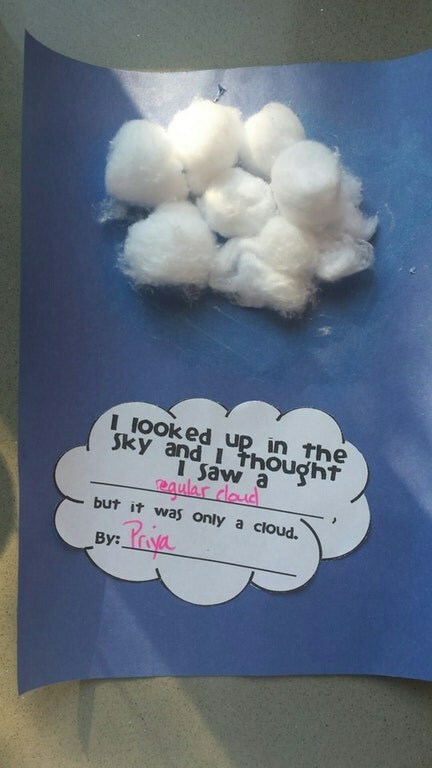 It is hard to say what this little school assignment was designed to teach the children. Was it trying to encourage the kids to be imaginative? Well, young Priya apparently does not have time for childish nonsense.